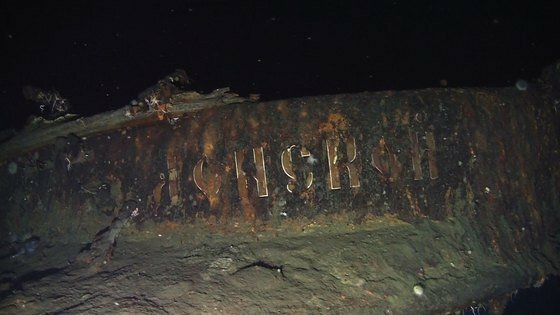 A South Korean company’s proclaimed discovery of the armored Russian cruiser Dmitrii Donskoi that was scuttled off the sea near the Korean islet Ulleungdo in 1905 has disrupted local stock market. The stock price of Jeil Steel Mfg, a rolling steel product maker listed on the second-tier Kosdaq, fluctuated throughout this week on the rumored connection with Shinil Group, the Korean company that claimed to have found the sunken vessel. Jeil Steel Mfg sank 20.5 percent Thursday in closing compared to Wednesday. After hitting the price ceiling Wednesday, Jeil Steel Mfg plummeted to end 6.3 percent lower than the previous day. This came immediately after a disclosure released during late afternoon trade Wednesday that the manufacturer’s stock selloff deal of 18.5 billion won ($16.3 million) signed on July 5 had nothing to do with Shinil Group. The Financial Supervisory Service on Wednesday called on investors to remain cautious in investments based on unproven facts. The financial watchdog added that spreading false or exaggerated investor information related to ships would be subject to criminal charges or fines. Founded in June this year with 100 million won in capital, Shinil Group claimed that it found the vessel 1.3 kilometers off Ulleungdo, 434 meters below sea level Sunday. According to the company, the wrecked ship contains treasure worth 150 trillion won. In March 2001, Donga Construction was delisted after a failure to salvage the Russian ship that it claimed to have discovered in December 2000, which led to stock price hike by ninefold in 17 trading days.